Obituary for Verla Lily (Handshey) Kellenbarger | Wellman Funeral Homes, Inc.
Verla Lily Kellenbarger, 96, of Circleville passed away on January 30, 2019. She was born on October 3, 1922 in Pickerington to Ernest and Bertha (Krumm) Handshey. 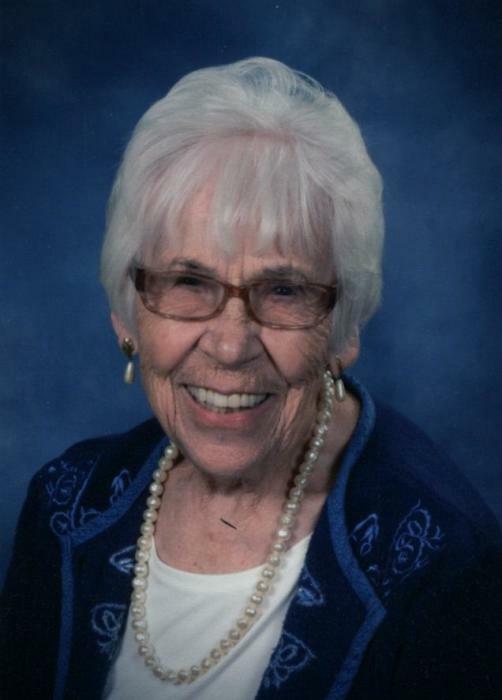 She was a member of Trinity Lutheran Church, was a 1940 graduate of Pickerington High School, a 1944 graduate of Capital University with a BA in Math and English. She had worked 37 years in various offices of the Federal government Army, Navy and Defense in Cleveland Ohio. Verla was a music lover and throughout her life participated in many musical programs as a singer or pianist. In addition to her parents she was preceded in death by her husband Joseph William Kellenbarger, sister Maxine Wyckoff and brothers Hubert and Tullie “Bud” Handshey. Verla is survived by nephews Kenny (Linda) Wyckoff, Mark (Betty) and Hubert “Butch” Jr. (Rona) Handshey and by nieces Carol Handshey and Peg Seaman. Funeral services will be held on Tuesday, February 5, 2019 at noon at the Wellman Funeral Home, Circleville with burial to follow in Violet Township Cemetery. Friends may call at the funeral home on Tuesday one hour prior to the service. Online condolences can be made to www.wellmanfuneralhomes.com.